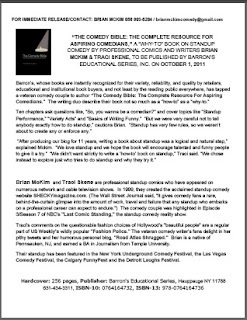 Click on the thumbnail below to download a .pdf of a general press release for "The Comedy Bible: The Complete Resource For Aspiring Comedians." Available for pre-order on Amazon.com! The Authors on NBC's "Last Comic Standing"